Aksys Games and Dreamloop Games and bringing more stellar shoot-em-up action to the Nintendo Switch! Stardust Galaxy Warriors: Stellar Climax will be going portable on November 29. The original game launched for PC in November 2015, and for PS4 and Xbox One in 2016. 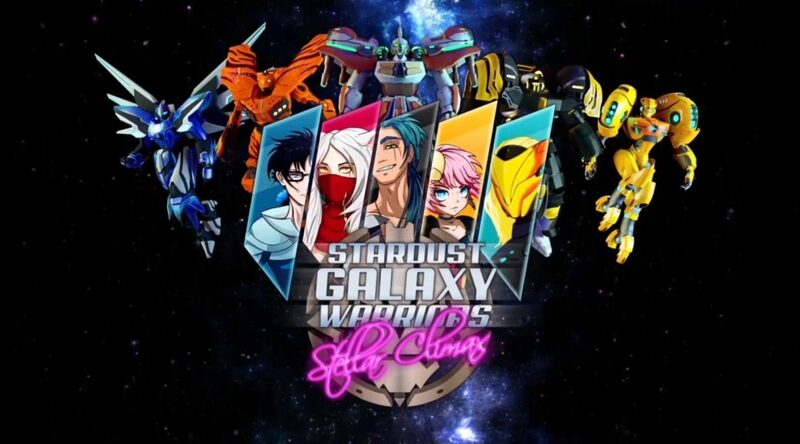 Stardust Galaxy Warriors: Stellar Climax is an engaging one-to-four player couch co-op action shooter game, combining shoot ’em up and brawler-like gameplay with light RPG elements. Choose from different game modes, gameplay settings, mechs, weapons, and upgrades to customize your experience freely. Soar through space, defeat evil and save the future… from itself! Local co-op for up to four players. Five badass player characters, with their distinct special abilities and superweapons. A vast arsenal of primary and secondary weapons. An extensive and customizable list of game settings; play the way you want. A light touch of RPG-mechanics, just for fun. A 10-level campaign with a tongue-in-cheek story to tie it together. Endless Gauntlet-mode that gets progressively harder as you play. Challenge mode with five predefined challenges. An amazing, album-length soundtrack (downloadable content). A character named Gundula von Übelvamp. No shocking plot twists in the end, like totally. You can always trust bullet points.